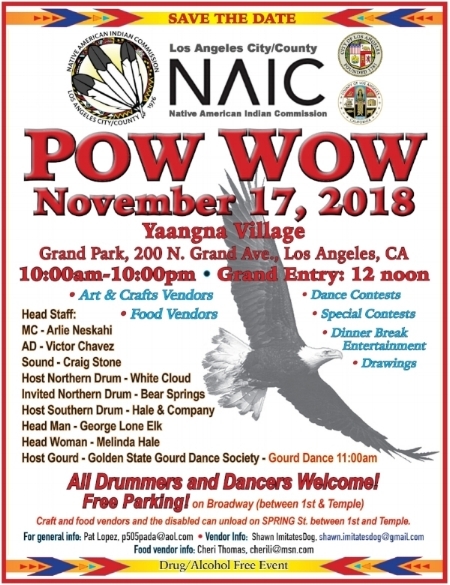 Grand Park, 200 N. Grand Ave.
From the organizer: We are gathering everyone into Downtown Los Angeles as we celebrate our many cultures on the land of one of the first villages in Los Angeles. All are welcome and encouraged to attend. Please come celebrate our Culture as we remain a vital part of the Los Angeles community.